I love lipstick, so when I discovered the amazing quality and price of Makeup Revolution it became a bit of bad habit.... So here's a mix of a few I've purchased and a few I received in my Beauty Advent Calendar. 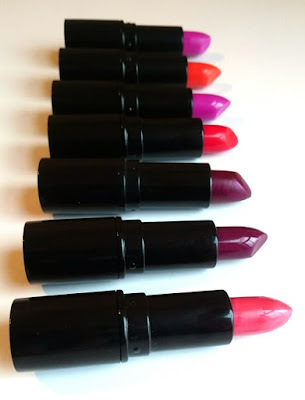 As you may see a lot of these are berry, reds and pink as in my opinion there's no such thing as a winter lipstick and I'll wear a dark berry shade in the middle of summer with no regrets. In this mix there are a few that I know I never would have personally gone out and purchased unless I had got them in my advent calendar. I'll start with a swatch of all them together (I know some people hate these kinda swatches because your arm colour is usually a completely different colour to your face, don't fear there's actual face swatches too! ), so we can see what we're working with! The website is virtually impossible to go off of too as they look so different depending on what screen you view them from. Cheer, Flashing, Crime, Rebel With Cause, Reckless, Twist & Vice. Cheer is a lovely light pink shade with a coral undertone. I think it's a lovely day to day colour and it's really easy to wear. The next two colours and very similar once on. Flashing is a bit of a lighter shade than Crime but there isn't too much in it! Again this is a lovely colour I'd wear day to day! I think I prefer Crime to Flashing even though there isn't much difference. I think it's a tad more pigmented and vivid. 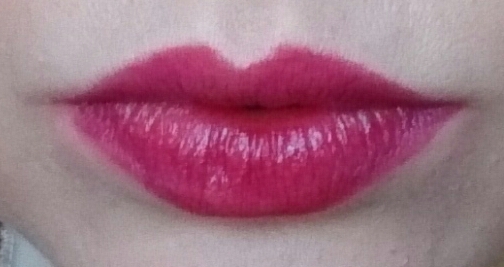 Not sure this is an everyday lipstick for me but it's one I've worn a fair few times since getting! Rebel With Cause and Reckless are again two very similar colours. They are awesome winter berry shades and I love both of them! They are both super pigmented and a perfect choice for a more vamp look. 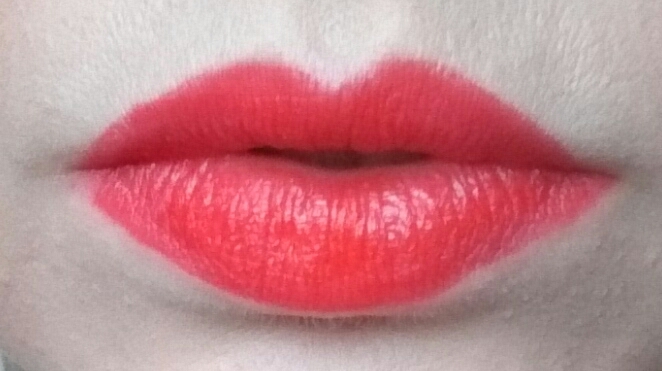 I love a red lipstick and while I do adore this super bright red, it's orange based and just makes me look a bit odd. I am a tad heartbroken about it as it's such a gorgeous colour, that's super pigmented! boo! I've always wanted to try an orange lipstick but always knew it wouldn't suit me. Getting one has just confirmed that! It's a lovely orange shade but Vice just isn't for me. I'm so pale orange shades just don't suit my skin tone. I did also find I had to really layer this lippy to get a good colour. Not one I'd recommend. 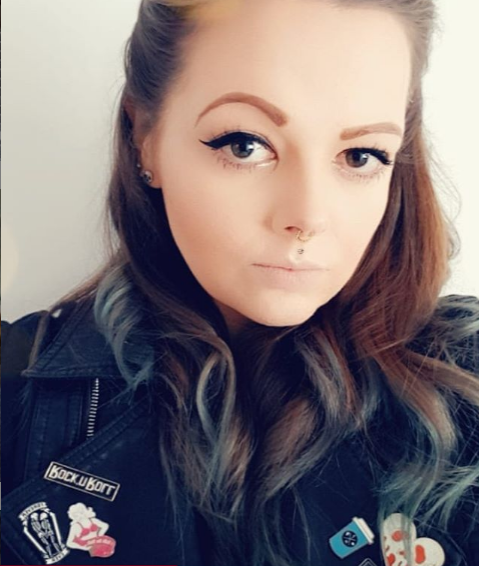 All in all, I love Makeup Revolution lipsticks, you can pick them up for £1 and while they aren't super long lasting, they offer awesome colour for a bargain price! Do you have any MR lipsticks? Eeeek I have Rebel with Cause and I love it!! 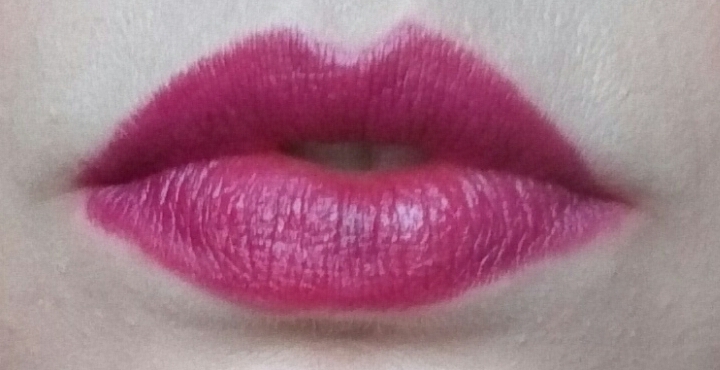 Definitely a perfect winter berry shade .. Loved seeing what other lipsticks they have ! You can go wrong for £1! I have a few MUR lippies and I love them esp for a quid!